8"W x 4"D x 13"T.
Made of hand-painted and gilded copper, brass, and steel. Mounted on linen and framed in acrylic. Weight, 1 lb. Boxed weight, approximately 3.5 lbs. 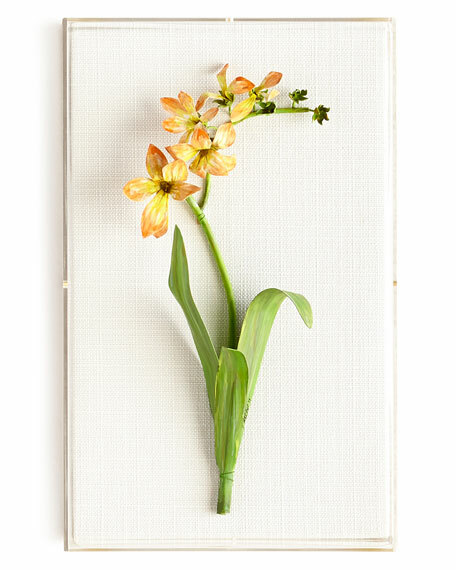 Handcrafted wall art with wood frame and linen backing. 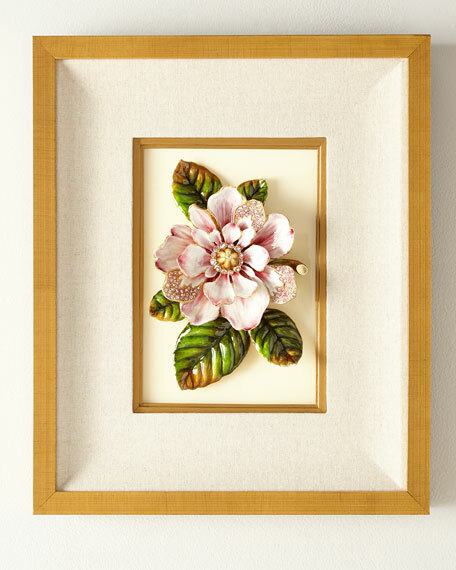 Metal enamel magnolia encrusted with Swarovski crystals. 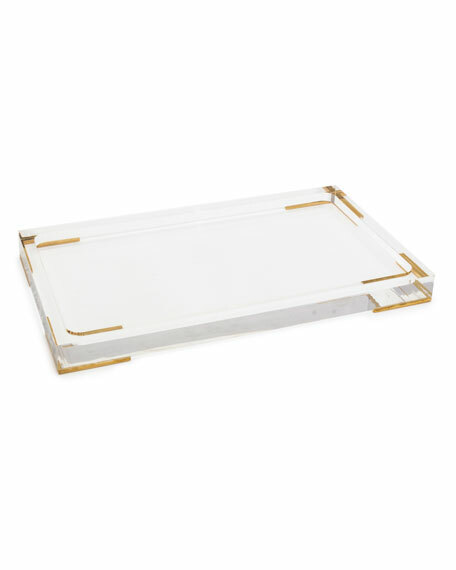 14.5"W x 17.5"T. Made in the USA of imported materials. Boxed weight, approximately 3 lbs. Exclusively ours. 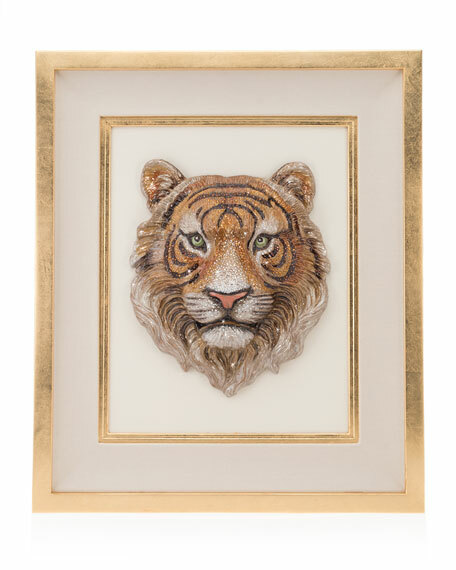 Handcrafted, hand-painted tiger head wall art from the Jungle Collection. 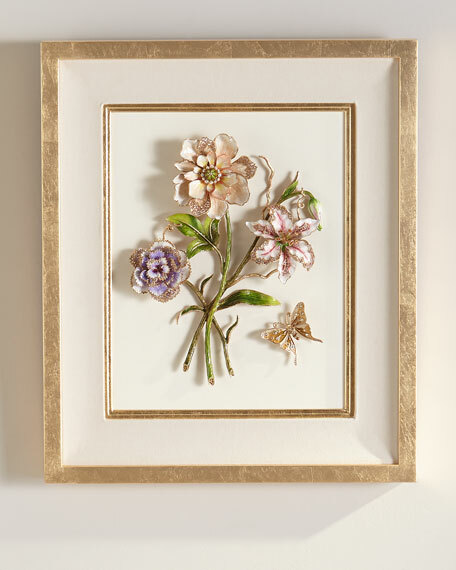 Embellished with 23-karat gold leaf plated brass frame. Wood, linen mattting, and aluminum. 23"W x 27"T. Made in the USA. Boxed weight, approximately 31 lbs.